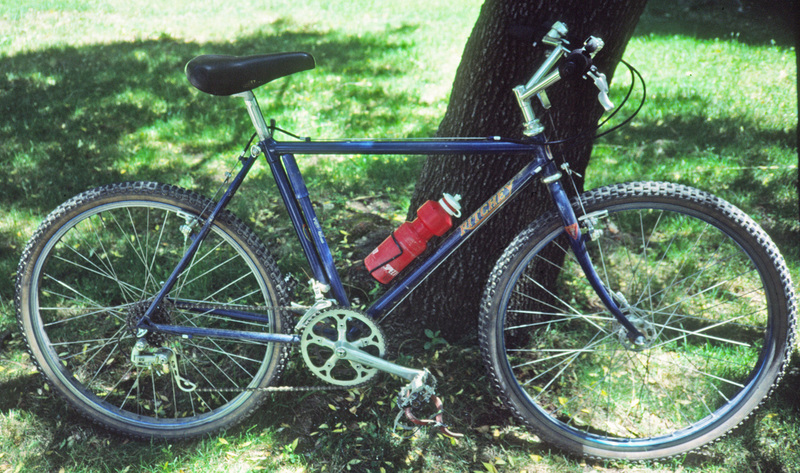 Only known photo of my Ritchey mountain bike in 1985. 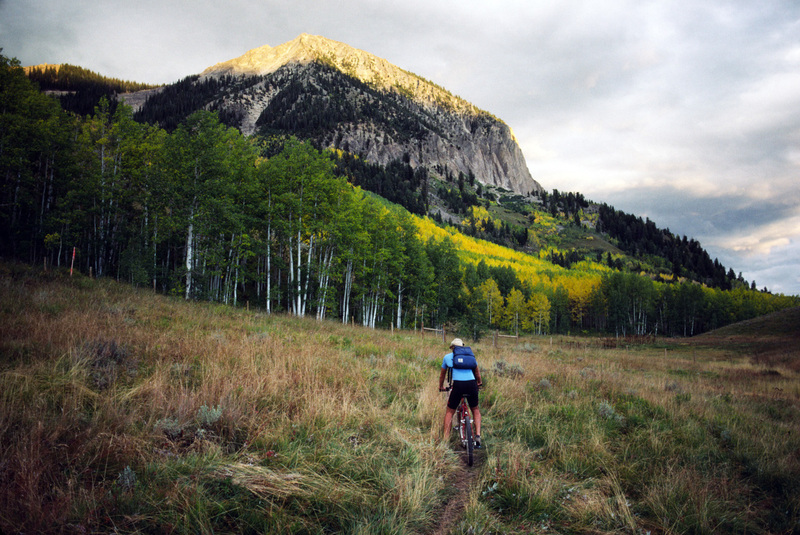 When the mountain bike craze took root, Crested Butte, Colorado, became a focal point. It wasn’t long before riders from all over the country gathered in September for a bike-fest. The big ride called for a day-trip over Pearl Pass to Aspen on a gnarly road. It was more than I could handle, but many do it annually. I ventured out there in spanking-new Amtrak cars in September 1985 and had a great time with photographer David Epperson (Mountain Bike Hall of Fame) and friends of triathlete Sally Edwards. It was a chance to ride my new Ritchey mountain bike, one of the most advanced at the time. While I enjoyed the experience, it didn’t take me long to realize mountain biking wasn’t my strong suit and I sold the bike shortly thereafter. While the event has been moved to June, the Rockies in September can’t be beat for scenic beauty with the turning aspen. David Epperson, an outstanding action photographer, rides in Crested Butte, 1985. This entry was posted on June 13, 2015 at 7:55 pm and is filed under History, Ride reports. You can follow any responses to this entry through the RSS 2.0 feed. You can leave a response, or trackback from your own site.